Please briefly describe the history of your company? Truck-Lite began in 1955 after George Baldwin created the first sealed marker lamp in his kitchen. His idea solved the problem of trailer lights not lasting very long and sparked a revolution in commercial lighting. 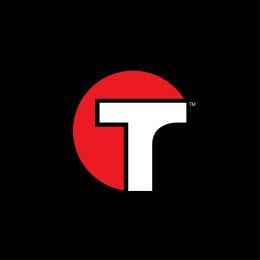 Shortly thereafter, Truck-Lite released the first ever sealed stop, turn, and tail lamp. Since then, Truck-Lite has grown into a global company with over 3000 employees. Please briefly describe your company’s sales structure: What do you sell, who are your customers, etc.? Truck-Lite has a very well diversified customer portfolio. We sell a wide variety of products from the front of the truck to the back of the trailer directly to the OEMs and aftermarket distributors for the heavy-duty transportation industry. We also spend a significant amount of time in front of the fleet customers as well. This is very important to our success as we do our best to focus on supplying solutions to meet their needs. We sell our products in the automotive, agricultural, bus, mining, and off-road markets. What separates your business from competitors in its marketplace? Truck-Lite has a long history of industry firsts, and we are continuing on that tradition today by offering new products and innovative solutions to our customers. When you combine our innovation with the largest distribution network and largest direct sales force among our peers, we provide our customers with great value at a competitive price. How do you believe customers perceive your business? I believe our customers view Truck-Lite as a high-quality supplier with a passion for their customers. How and why do your customers stay loyal to your business? There are more options today than ever before in our line of work. I think our customers believe in our value, quality and overall service. Truck-Lite has really transformed into an electronics supplier driven by the success of the LED lamps. Now we are designing and manufacturing wireless sensor and trailer tracking devices under the brand name Road Ready. What makes your company a great place to work? The company has always had a commitment to growth and creating opportunities for their employees. How vital is it to have quality employees entering your business from younger generations, and how are you trying to recruit these younger professionals? Our industry demographics are changing, and it’s imperative we change with it. The younger generation will bring new ideas which will help our business continue to grow. Does your business feel it is in the position to change with the times? If so how? Absolutely, we are opening a new office in 2019 near Southfield, Mich., to help us recruit more young employees. Do you have any advice for the next generation, as they work in this industry? My advice to the new generation of employees entering the workforce is to ask a lot of questions and to get to know the products. The best experience is truly understanding your products and how they interact with the vehicle and the surrounding environment. What are the three most pivotal moments in your career that you either learned from and/or that got you where you are? My pivotal moments have all been defined by taking advantage of opportunities that became available to me. The first moment was when I moved to Germany for Truck-Lite to become a commercial liaison between Truck-Lite Engineering and sales after a new acquisition. When I returned home to the U.S., I jumped into another new role which allowed me to further expand my knowledge of our products and services at Truck-Lite. We all spend a lot of time at work so we might as well enjoy it and take advantage of the opportunities it can create for you. Are there any industry leaders that have influenced you/mentored you? Who were they and how has their knowledge assisted you? I have been very fortunate to work with so many tremendously bright and successful people in all corners of this industry. I find it difficult to single out a few. If I had to pick only one, I would say Rod Ehrlich from Wabash National. I always admired Rod’s passion for the work and his approach to find new and better ways to create a product or to get the job done. Please briefly describe the history of your business. Our promise to put our customers first is one of the many reasons why we’ve become the leader in our industry for the last 55+ years. 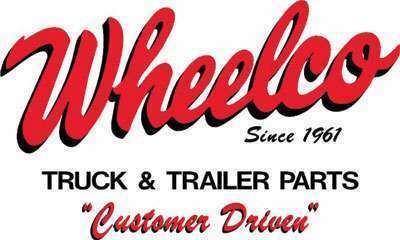 Established in 1961, Wheelco has grown from a small parts and service shop to the go-to-place for (all makes, all models) truck and trailer products. As a family-owned business, Wheelco has grown to a total of six retail locations, three service centers, and one parts distribution center in the Upper Midwest. Our commitment to high-quality products and exceptional customer service has allowed us to serve customers with their specific needs. Please briefly describe your company’s distribution structure: What do you sell, who are your vendors, who are your customers? Popular amongst the heavy-duty industry customers, Wheelco has proven time and again to be a distribution leader, carrying aftermarket truck and trailer parts for all makes, all models. We understand that getting the right part is only one aspect of our customer’s needs, which is why our scope and services have grown. Meeting the customer-demand, Wheelco operates multiple complete service centers. Focusing on: customer’s experience, industry expertise and innovation. • Our customers come first. They always have and always will. Ensuring that we have all of our customers covered with their unique needs, regardless of industry or price-point, is the foundation of our company. • Our customers trust us. If they have questions about a specific part or process, they know they can reach out to us and quickly get the answers they need. We have the industry expertise. • Our company is comprised of a team of innovators and experts. We know that our customer’s needs of today won’t be the same in the future. That’s why we challenge ourselves to find new and innovative ways to address industry challenges. How and why have your customers stayed loyal to your business? At Wheelco, being customer driven is more than just a motto we live by. It means that our employees will do everything we can to best serve you, our valued customer. That is our first and foremost concern. It’s the foundation of our Core Values. Customer-driven is more than just offering you advice, giving time-honored service or contributing the latest tech-support. It’s about being there — whenever and wherever you need us — in-person, over the phone or online. Wheelco is truly built from the bottom up. We attribute the core of who we are to our employees — that’s why our employees stay year after year. One of our service techs has been here for over 55 years! Our roster is deep, with many employees having been here more than 10 or 20 years. What makes your business a great place to work? You are valued. At Wheelco, each employee is vital, makes a difference and has a purpose for our company. Our knowledgeable staff offers excellent customer service and tech support. Because of our trust in our staff, we can make quick, educated decisions and ultimately serve our customers more efficiently. We make sure our employees are in alignment, are challenged and have strong relationships with each other. Quality, young professionals are sometimes the best leaders. They may not have the seniority or the job title, but we encourage innovative thinking and challenge processes at Wheelco. They will keep Wheelco true to its core in the years to come. Community participation, partnering with votech colleges, offering scholarships for those entering the industry are just a few ways we are recruiting younger professionals. Do you feel your business is in the position to change with the times? If so how? We’re in a constant state of innovation. We encourage our teams to introduce new ideas for products and processes. This innovative rational gives all employees the empowerment to make decisions and act quickly – now and in the future. Don’t hesitate to ask questions. Share your goals with your supervisor and discuss how to accomplish them. Never stop learning. Always educate yourself. What are your goals for the long-term future of your company? Our Vision: To be the Industry leader backed by the best talent that delivers the ultimate customer experience. Why did your company join GenNext? How can GenNext help your employees? GenNext’s mission to educate, mentor and recruit reflects our initiatives. What sets Wheelco apart from the others is our industry knowledge and expertise. Collectively, our executives have over 250 years of industry experience in their fields. As we strive for change, we challenge our young leaders to find new and innovative ways to find solutions for our customers. Because we understand the need to continue to cultivate talent within, educating and mentoring our teams is vital. This need extends not only to Wheelco, but to the heavy-duty industry as a whole. Within the first two years of taking over the family business, I made the decision to open our first branch location. With little industry experience and guidance, we were able to be successful and profitable the first year. I learned many lessons in the School of Hard Knocks. However, it turned out to be one of the best decisions for Wheelco. Investing in land, in more employees and their families, understanding financial risk, growing inventory to meet the needs of consumers — these are just a few crucial necessities that had to be addressed to grow into the successful business we have today. The realization that I had to learn to delegate and learn to trust my team’s capabilities was another pivotal moment in my career. Early on, I worked on-the-road, behind-the-counter, and side-by-side with my staff. I worked seven days a week, all hours of the day and soon realized that I couldn’t do it all myself. The stress and anxiety finally caught up to me. I realized I had to surround myself with a team of highly capable people of whom I have the utmost respect. Rising to adversity has repeatedly been crucial to my career. Addressing issues and weighing them accordingly helped me focus on what was best for Wheelco. Easily, one of the most pivotal and influential moments in my career was joining VIPAR Heavy Duty. VIPAR’s networking, buying power and access to information was unmatched. Understanding that working in a vacuum, where you had no way to benchmark your business, was a huge point of contention. Partnering with VIPAR helped grow our business substantially. Early on in my career in this industry, my father played a pivotal role in which he was my sounding board on important issues. He was highly knowledgeable in business development and financial fundamentals, but more so understood people. Business isn’t just about getting the best deal, it’s about building relationships with people. GenNext also held its third quarter webinar with MacKay & Company on the “The Future of the Aftermarket in 30 Minutes” last week. The webinar was led by MacKay & Company Vice President of Sales and Marketing John Blodgett. During the call, Blodgett spoke optimistically about the immediate future of the United States economy and aftermarket at large. “The economy plays a big part in the aftermarket, so we think it’s important to look at what’s going on. We are 111 months into economic expansion. The expansion started in June 2009 and it has been a long expansion [period],” Blodgett says. Blodgett also adds truckable economic activity (TEA) will be strong for the balance of the year and could continue at least until the first quarter of next year. Strong TEA is being driven, in large part, by consumers continuing to buy goods and companies continuing to invest in their businesses. The one caveat is the United States’ fluid position regarding tariffs and imports and exports, which “will have a big impact on trucking,” he says. Blodgett says the aftermarket this year will come in at about $31.4 billion for Class 6-8 trucks, trailers and container chassis, which is up about 6 percent over last year. GenNext is seeking volunteers who would be interested in participating on one its four committees: DTE, education, marketing, mentoring and recruiting. GenNext says video capturing and editing experience is a plus though all are welcome to participate. Anyone interested in signing up should contact Edward Kuo at ekuo@kuoconsulting.com. Since the merge of CVSN and GenNext, our membership policy has changed. Membership into GenNext will be FREE to all individuals who are employed by CVSN member companies(distributor) and associate member companies (manufacturers/service/others). This new policy goes into effect on Jan. 1, 2019. We are excited to potentially bring a significant increase in GenNext membership. Each CVSN member and associate company can have their employees (no age restriction) sign up online at www.gennexthd.com/join, or can send a list of individuals (with e-mail addresses) directly to ekuo@kuoconsulting.com and they will be added to the membership roster. For individuals who have been paid members of GenNext in the past, you should strongly consider a corporate membership in CVSN. Participation in a strong industry association is crucial to the success of both the aftermarket and your company’s involvement in the aftermarket. Please contact CVSN or GenNext for more information. Getting to know Illinois Auto Truck Co., Inc.
Illinois Auto Truck manufactures and sells new clutch assemblies, clutch components, supplemental clutch parts and flywheels for Class 6-8 vehicles. IATCO sells through various channels including the wholesale and independent distributor. IATCO is also the preferred new clutch supplier for VIPAR Heavy Duty and Power Heavy Duty. Quality and customer support is of the upmost importance to Illinois Auto Truck and has always separated us from others in the marketplace. We strive to differentiate ourselves from our competitors by continuously focusing on quality and offering the largest breadth of coverage both nationally and internationally. IATCO offers various types of support for our customers so that they in-turn can be successful promoting our product in their market. This includes ride-a-longs, technical clutch presentations, and hands-on clutch installation clinics. We believe customers perceive Illinois Auto Truck as a multi-generational, loyal, and successful company that provides the offerings of a larger business, with the level of support you would only find from a smaller company. They know the quality of our product matches the attention to detail and support provided by our customer service. In this evolving marketplace, our customers continue to stay loyal to Illinois Auto Truck because they know that we are committed to quality, which is evident by the fact that we continue to manufacture in the USA, where we have for over 79 years. Furthermore, we exude respect for our customers and are always appreciative of their business. A “thank you” goes a long way. One thing most customers may not necessarily know about our business is that our average tenure internally, both in the front office and factory, is more than 12 years. As much as we have respect and our thankful for our clients, we feel the same way about our employees. Furthermore, we do in fact manufacture our product proudly in the USA. Illinois Auto Truck is a great place to work because no matter what your role may be, you are most certainly contributing and making a difference each day in the success of our business. As a fourth generation, family owned business, our ownership is extremely involved and dedicated to the continued success and overall growth of IATCO. Furthermore, with business and customers both nationally and internationally, there is an exciting culture around what we do. As we look to the future of Illinois Auto Truck, we know how important it is to have quality employees of a younger generation. These individuals bring fresh ideas for everything from marketing sales presentations, to customer service management software, and even quality control in our factories. Some of our greatest success in finding these next generation individuals has been from recruiting employees outside of the industry. They bring an exciting, new perspective to this field. Illinois Auto Truck is definitely in a position to change with the times as we are constantly looking to develop new product and spark innovation both in the front-office and factory that will lead to customer retention and growth. I would encourage the next generation of job-seeking individuals to most certainly consider a job in this industry. Not only is it an exciting industry to be in, but there is a lot of opportunity for growth in every aspect of the business, including manufacturing, innovation and management. We joined GenNext for the opportunity to build relationships and create networks with like-minded individuals who are interested in taking their business to the next level. Furthermore, we believe this group can benefit our employees by allowing us to share ideas and connect with one another for support. It is incredibly important to keep our industry alive and I firmly believe that having groups like this will make that possible. There have been several pivotal moments throughout my career but these are the ones that stand out. We lost a customer a few years ago due to them wanting a “cheaper” product. We told the customer that we weren’t able to offer a cheaper product as we value the quality that we put in the box and were not willing to compromise that. In that scenario, I learned we cannot be a supplier to everyone and we cannot succumb to the pressure of being the low-cost provider. We have to be proud of what we put into the market and confident in the product that we produce. Another pivotal moment in my career was when I first joined the company back in 2008. I traveled with my father on a six week, around the world, business trip. I quickly learned how important it is to be in front of our customers and understood first-hand the sacrifices my father made, including time away from our family, to grow the company to where it is today. In that moment I knew what was in store for my career, in terms of travel, and accepted that in order to achieve my goals in the future, time away from my wife and children would be necessary. The third most pivotal moment in my career was when our general manager retired last September. He was a mentor to me for my first nine years in the business and was always a present force that I could turn to. His leaving offered an opportunity for me to help lead our company through a very significant change, and also allowed me to think about what kind of new leader would be best for us. I am happy to say that these were all good changes that will have an extremely positive influence on the direction of IATCO moving forward. My father, Richard Stein has been in the business for 44 years and has shown me the way throughout all aspects of the industry. Learning how he has successfully run and grown the business throughout his tenure has been invaluable. I now strive to take pieces of what he has done and use them to expand and evolve our business into the future.